This proposed legislation (HR1493) like many of the efforts out of Congress is vague and open ended. It will empower our legislators to have more intrusive access than is readily apparent in a cursory reading of the bill.. I have printed this legislation in its entirety. Most of us won't read it, but please read the analysis from the Committee for Cultural Policy blog at http://committeeforculturalpolicy.org/proposed-legislation-ignores-cpia-creates-new-repatriation-focused-committee/ . I have also provided this analysis at the end of this bill. March 29, 2015 . Despite the continuing horrors of destruction in Iraq and Syria, Congress has resurrected legislation that gives priority to repatriation to the Assad and Iraqi regimes rather than to preservation of cultural heritage in H.R. 1493, the “Protect and Preserve International Cultural Property Act.” The new bill, which is similar to last year’s failed legislation, H.R. 5703, was reintroduced on March 19 by Congressman Eliot Engel. The new bill abandons some of H.R. 5703’s provisions, which created a White House cultural property czar and what amounted to self-funding for archaeological missions. Unfortunately, the new bill prioritizes repatriation to the same nation states that have failed to protect cultural heritage in the first place. It does not address the greater threat posed by ISIS destroying artifacts. In fact, repatriation in wartime increases risk. It raises concerns about the seizure of the religious artifacts of persecuted minorities and again authorizes their repatriation to the Assad regime; it does not provide assurance that the government will be required to prove the artifact in question was illicitly removed from Syria. The new legislation bypasses entirely the Congressionally-established criteria of the Cultural Property Implementation Act and review by the Cultural Property Advisory Committee (CPAC). It ignores the legitimate art trade and collector and museum interests, and assumes that all archaeological and ethnological artifacts belong only to nation states. The new bill creates a Coordinating Committee and a United States Coordinator for Cultural Property Protection at the Assistant Secretary level at the Department of State. The coordinating committee is made up of government representatives with one exception: the US Committee of the Blue Shield, which is headed by Nancy Wilkie, former president of the AIA, and includes directors J. Malcolm Russell and Patty Gerstenblith. The Coordinating Committee is supposed to “consult” with museums but not with trade or collecting organizations. Like the current Cultural Property Advisory Committee, the new committee’s meetings will be secret. Read: Letter from the Committee For Cultural Policy to the Congressional Committee on Foreign Affairs. Read: text of HR 1493 – the Protect and Preserve Cultural Property Act. Comments should be directed to Congressmen Ed Royce, fax 202-226-0335 and Elliot Engel, 202-225-5513. · Assumes repatriation, rather than preservation, as an objective. · Assumes that all archaeological and ethnological artifacts belong to the nation state not the individuals, ethnic groups or religions that owned and created them. · Only stakeholders consulted are academics, foreign governments and related institutions, no input from other impacted US citizens including collectors, dealers, religious institutions or museums. · Syrian import restrictions bypass current legal process established under CPIA including Cultural Property Advisory Committee review and current procedures for public comments, place import restrictions on everything and anything “Syrian,” and do so without any sunset. · Bill redefines Syrian archaeological and ethnological material under CPIA to include everything. 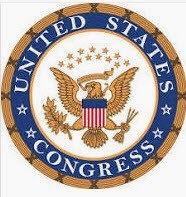 · Requires seizures and repatriations of Jewish and Christian religious artifacts, which could be taken from refugees. · Bypasses the Cultural Property Advisory Committee. · Has no sunset. Under current law, restrictions must be reconsidered every five years. · Raises ex post facto law concerns.